1929. 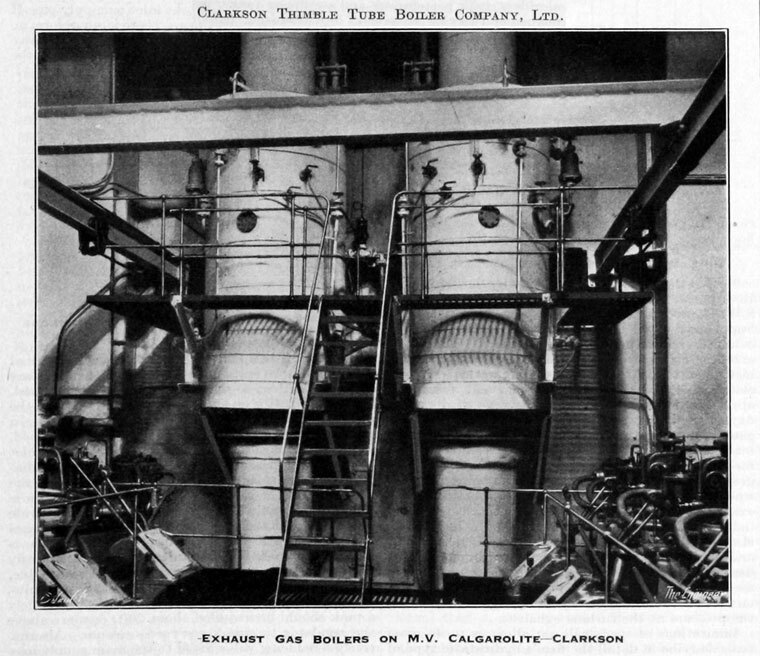 Exhaust Gas Boilers on M.V.Calgarolite. of 613 Australia House, London, WC2. Telephone: Temple Bar 2122/3. Telegraphic Address: "Clarsteamo, 'Phone, London"
1932 Patent on improvements in steam generators or water heaters with William John Niven. 1944 Patent - Improvements in steam generators or water heaters. 1951 Patent - Improvements in thimble tube boilers. This page was last edited on 25 July 2018, at 21:18.